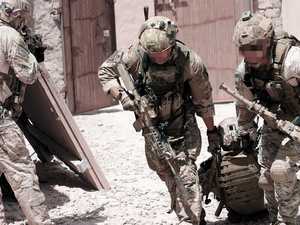 Brad Watts witnessed horrific trauma as a combat medic in Afghanistan. It was nothing compared to seeing his two-year-old daughter being resuscitated in hospital. 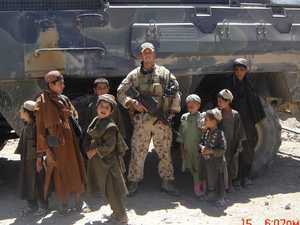 Watts, who was a sergeant when he deployed with the Special Air Service Regiment to Afghanistan, said his most traumatic experience during his 12-year military career was not as a soldier but as a father. 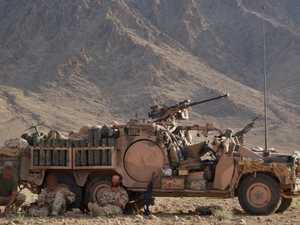 Watts is part of an elite combat medic group in the Australian Special Forces known as Voodoo Medics. "I was exposed to a lot of trauma in Afghanistan as a medic but it paled into insignificance to seeing our own child lying there in a vulnerable state," Watts said. "Nothing has ever challenged me or will ever challenge me like seeing Matilda sick that day, which was probably the most intense moment of my life." 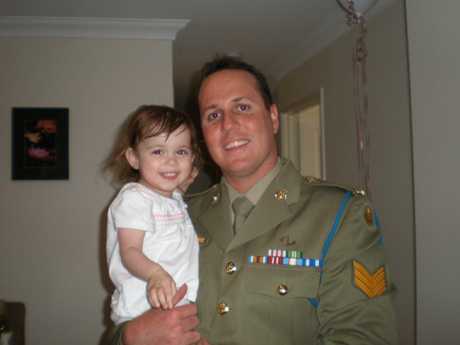 Brad Watt with daughter Matilda. 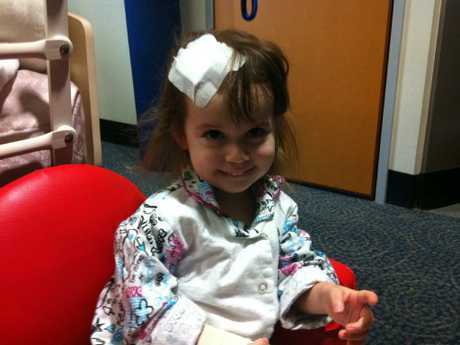 She was diagnosed with brain cancer when she was just 2-years-old. 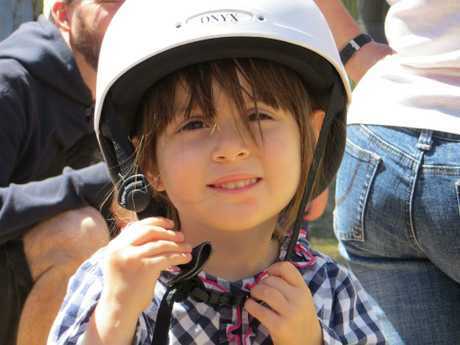 When Matilda was two, she became sick over a period of months but doctors couldn't work out what was wrong. 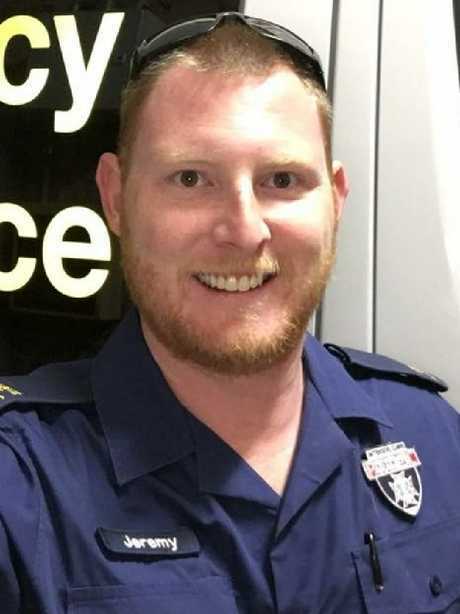 Increasingly worried for her, Watts and his then-wife Carrie took the toddler to Brisbane Mater Hospital's emergency department and shortly after they arrived Matilda passed out and needed to be resuscitated by hospital staff. The news was terrible. Hospital staff performed a CAT scan and discovered a large growth on Matilda's brain - a Grade 4 tumour called an ependymoma. They were told the cancer causes swelling and compression on the brain and has a survival rate of just 50 per cent. Matilda needed holes drilled into her skull to release pressure and urgent surgery to try to remove the tumour. Brad Watt said nothing in Afghanistan compared to seeing his daughter suffering. That was seven years ago and Matilda has made remarkable progress with demanding but successful treatment. She is now a happy nine-year-old fourth grader at school in Brisbane. "There was a second there where all we wanted was another moment or another 10, so to have had almost seven years now and her back to normal, we're very lucky to have come through that rollercoaster like we have," Watts, 37, said. 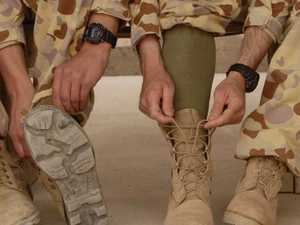 To mark Matilda's recovery Watts did what many soldiers do following trauma - he got a new tattoo. "It says 'Destitus ventis, remos adhibe' which is on old Latin and Viking saying for 'if the wind fails to serve, take to the oars'. "To me what that means is no matter how hard life gets or how hard the moments are there's always a way and you need to keep pushing forward." 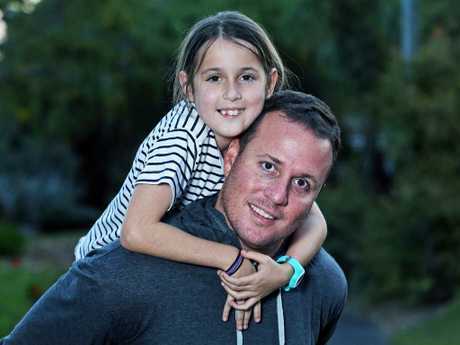 Following a full and successful recovery, Matilda is now a bubbly 9-year-old. Watts is not the only Voodoo Medic to have suffered a cancer scare. 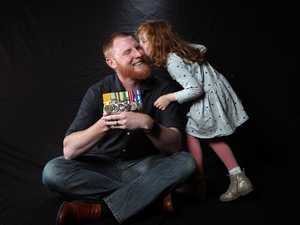 Corporal Jeremy Holder MG, an underwater medic at the former 4th Battalion, Royal Australian Regiment (since renamed 2nd Commando Regiment), was last year diagnosed with testicular cancer. "To have that just thrown in the mix is pretty indescribable," Holder said. 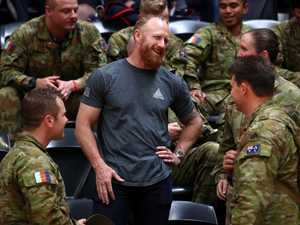 "To think you can survive Afghanistan and just be living a normal life to then have a scare like that again just makes you look at life a little bit differently." The 34-year old, who is married with two children and runs his own business, said he was never worried about dying. 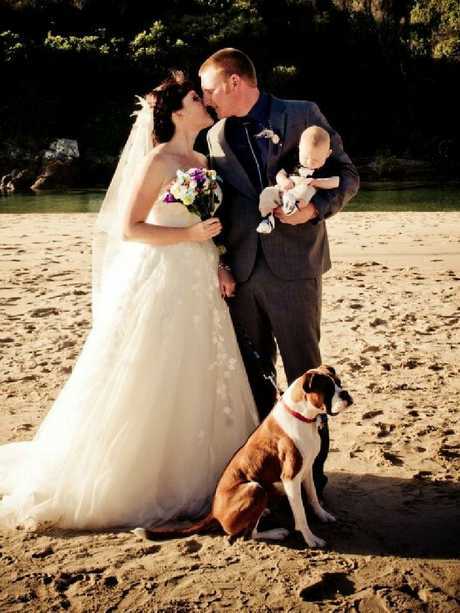 Voodoo Medic Dr Jeremy Holder on his wedding day. "The night that I was diagnosed I suppose I was probably more pissed off than scared," he said. "But after that I was just like 'I haven't got time for this, let's get this done. Let's get this surgery have the treatment and let's move on'. "From that moment I was never really worried about any poor outcome. It was just more of a hindrance to be honest." Holder had treatment and luckily the cancer has not spread anywhere else in his body. "I didn't require chemo (therapy)," he said. "I just have to have three-monthly CAT scans and bloods to make sure that the cancer doesn't come back anywhere." Brad Watt, in dress uniform, and Matilda are all smiles. 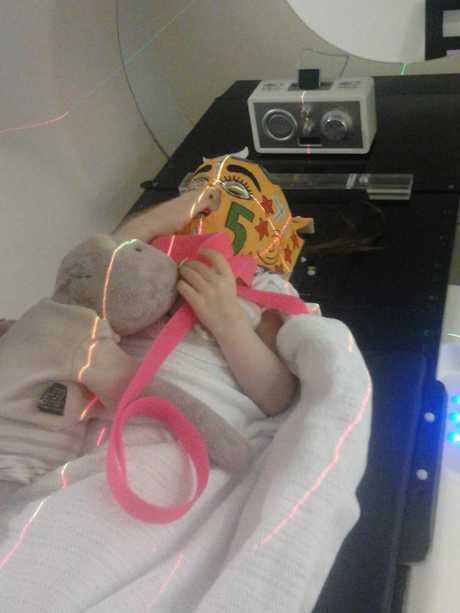 With her teddy bear as company Matilda undergoes scans at a Brisbane hospital. 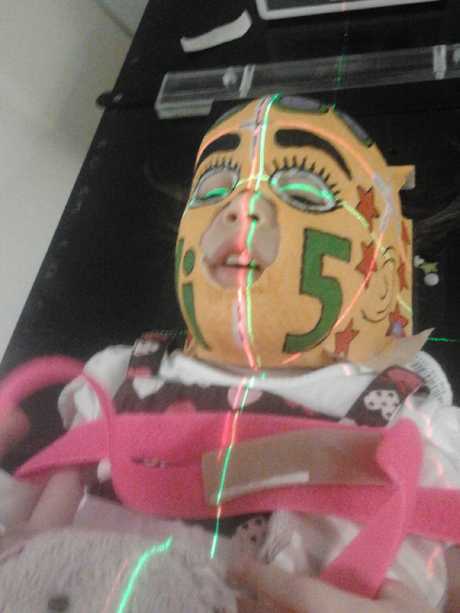 Matilda needed urgent surgery to release the pressure on her skull. 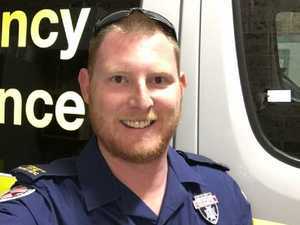 Voodoo Medic Dr Jeremy Holder became a paramedic when he left the military.